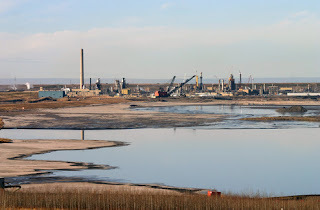 Tailings are a big deal for oil sand mines. They take up huge amounts of space and are a massive ugly target for environmentalist critics. This Rigzone article discusses the state of affairs on the matter. The article details the industry-government group that hopes to improve tailings pond performance. All the big mines are involved and reportedly share tailings information freely with one-another. They also talk about advances in tailings technology, which primarily involve adding chemicals to make the sediment settle out faster. CNRL, for example, says they use CO2 and a reagent to de-water tailings. 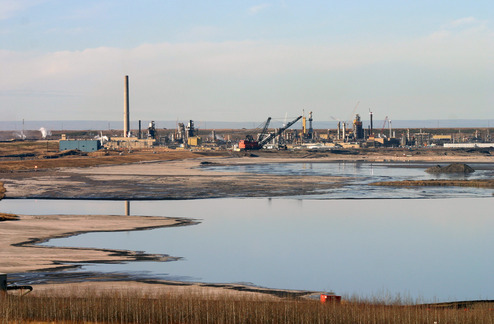 The article also talks about Syncrude's centrifuge approach and some other details. Worth a read if you're into tailings management technology. I guess that's a pretty big if.